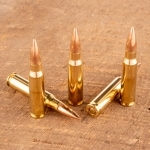 This mil-spec 5.56 NATO ammunition from Federal comes from the same production lines that supply the US military. 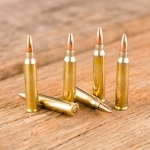 Available to the public as surplus, this ammo delivers excellent performance in AR-15s and other 5.56/.223 Remington rifles. 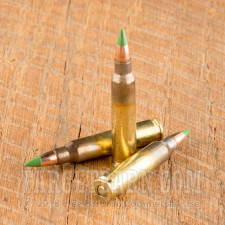 Each cartridge in this pack of 150 fires a 62 grain full metal jacket "green tip" bullet at a muzzle velocity of 3,020 feet per second. 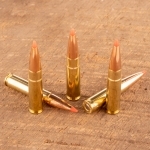 This corresponds to the M855 standard currently used by the US military. 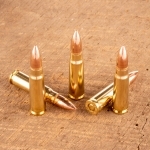 Federal produces 5.56 NATO at the Lake City Army Ammunition Plant, a federal facility operated under contract. 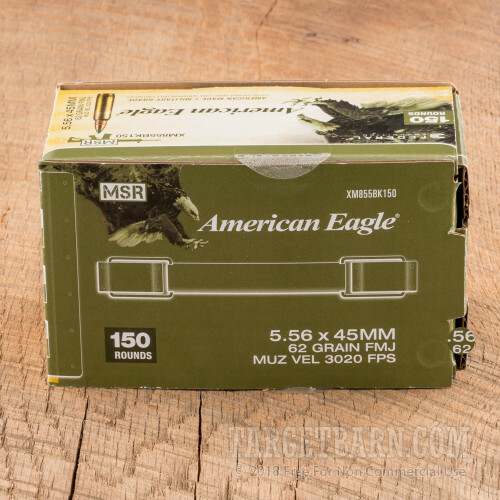 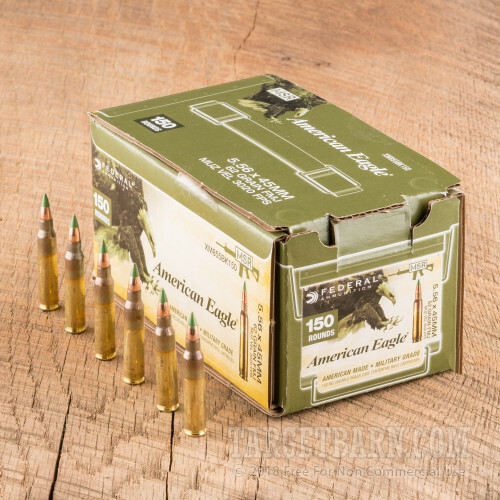 LCAAP ammo uses non-corrosive primers and brass cases with visible annealing marks.